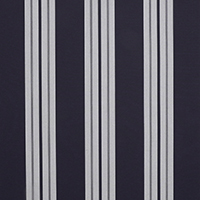 Sunbrella Supreme in Captain Navy/Captain Navy (9446-0000) is an exceptional, exterior marine fabric. It features Sunbrella canvas on the external face with an unmatched Sunbrella flocking on the opposite side. The watertight top and soft headliner beneath provide protection from both sides. 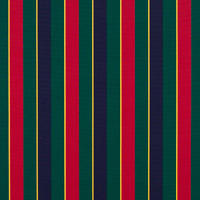 The Supreme Collection is just one of many Sunbrella fabrics that can withstand even the harshest environments. 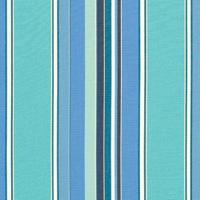 In a classic solid blue pattern, this fabric will look exceptional in any space. It is ideal for high-moisture areas, such as T-tops, dodgers, bimini covers, boat covers, and much more. The fabric is mildew resistant, heat-sealable with seam seal tape, and composed of 100% Sunbrella acrylic.